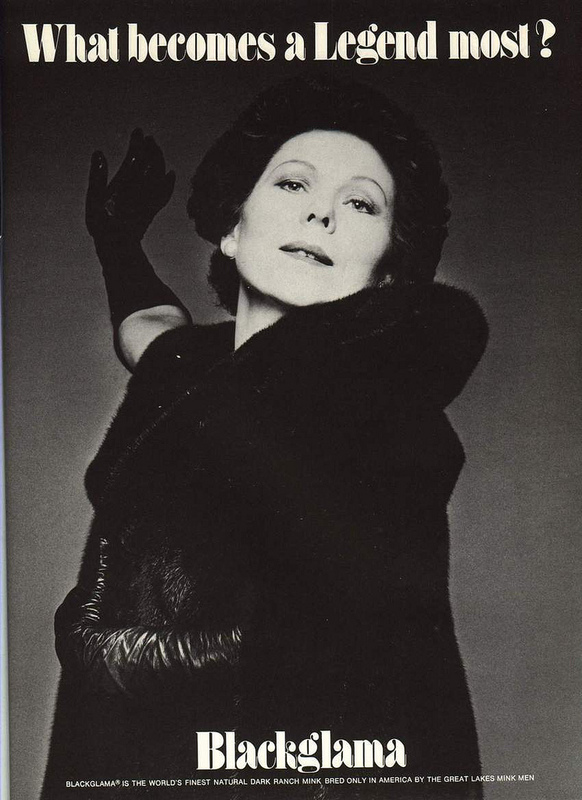 Renata Scotto "Blackglama is the world's finest natural dark ranch mink." With a career in opera that has spanned almost 60 years, soprano and stage director Renata Scotto is one of the last remaining life-lines that we have to a period of the art form that draws no parallel. La Scotto, who turns 77 today, has indeed sung with many of the operatic legends of yesteryear: Maria Callas, Renata Tebaldi, Mario del Monaco, Jon Vickers, Tito Gobbi and Alfredo Kraus. For one thing, the name “Pavarotti” was rigorously excised from [La Scotto's memoir] More Than a Diva; he is strictly “a certain tenor” in stories of his laziness and selfishness, and he was even scrubbed from the discography in the back. In fact, since her operatic debut in 1952 in which the 18 year old Scotto sang Violetta in Verdi's La Traviata, she has sung more than 45 roles by 18 different composers. As an Emmy Award winning opera director, La Scotto has staged performances at the Met, NY City Opera, Florida Grand Opera, Palm Beach Opera, The Dallas Opera, Michigan Opera Theater, Finnish National Opera, and Lyric Opera of Chicago. It goes without saying that her career is one that "baby singers" dream about. Opera has its Queen Bee. The Italian soprano and living legend Renata Scotto (~living legend, you can look, but don't touch~) has done it all. She's been Norma and Violetta and Mimi -- among the best in the modern era. She rediscovered La Voix Humaine back when it wasn't fashionable and also sang Schoenberg's Erwartung. In the span of an enormous career, she’s as intimate with the stage as with the backstage: La Scotto’s made the graceful transition from singer to director to teacher – a versatility that’s made her modern. Her vocal skills spanned from the lightest bel canto to the densest verismo. With ninja-sharp musicianship (and acting skillz) and a deep understanding of each composer, her style was intelligent, authoritative, and passionate. For an in-depth post on La Scotto's life, including an interview with the living legend, hop on over to Opera Chic's Blog. Also, make sure to check out Zachary Woolfe's article at CapitalNewYork.com. "...the operatic legends of yesteryear: Maria Callas, Renata Tebaldi, Mario del Monaco, Jon Vickers, Tito Gobbi and Alfredo Kraus..."
Well, thank you very much. Now I feel like Methuselah's grandfather. :) It may be "yesteryear" to some, but I saw all of the above (as well as Madame Scotto) and, although memories now, they are living presences in my mind. Back in the day we referred to Scotto as "Little Renata" to distinguish her from "Big Renata" (you-know-who). Scotto, whom I heard in all phases of her career from early (Adina) to later (Norma), was a wonderful artist. Never, ever dull or boring.